"The first thing a child should learn is how to endure. It is what one will have most need to know." They can be warm or can cause stress. Words are a gift that should cause joy." "Webster’s Dictionary defines serendipity as ‘the gift of finding valuable or agreeable things not sought for. …[O]ne of the reasons we fail to take full advantage of grace is that we are not fully aware of its presence – that is, we don’t find valuable things not sought for, because we fail to appreciate the value of the gift when it is given us.…[W]e consider such events quite unremarkable, and consequently we fail to take full advantage of them." Dr. Sheehan writes that every person is called to be a hero, to live a heroic life. "The heroic life is no more than authentic life. One in which I take possession of myself and live by my own decisions and choices. Heroism begins with accepting the person I am and can be." Great Ideas . . . . . . . . . . . . . . . . . . . . . . . . . . Adolph A Berle, Jr. The Courageous Man . . . . . . . . . . . . . . . . . . . . . . . . . . Gen. George S. Patton, Jr.
"All men are frightened. The more intelligent they are, the more they are frightened. The courageous man is the man who forces himself, in spite of his fear, to carry on." "One of the chief differences between winners and losers in athletic competition is that the winners see themselves as winning and the losers generally give themselves a reason or an excuse to lose." "The starting point of all achievement is desire. Weak desires bring weak results…A strong desire brings better results but…it has to be an intense, eager, craving, insistent, demanding, ravenous desire that is akin to the desire of a drowning person for a breath of air. A strong desire is the key to success in any endeavor." "People can generally make time for what they choose to do; it is not really time but the will that is lacking." And the Spirit who comes in hope." "By always taking out and never putting in, the bottom is soon reached." "Humanity’s greatest problem has never been the absence of answers to complex situations. Its greatest problem has been the absence of will to attack problems. Progress begins with the belief that what is necessary is possible. Hope is practical reality because it supplies the energy for converting intangibles into tangibles." "To give life to visions, leaders use a variety of modes of expression. Leaders make full use of all the available media to communicate to others their shared identity. Language is among the most powerful methods for expressing a vision. Successful leaders use metaphors and figures of speech; they give examples, tell stories, and relate anecdotes; they draw word pictures; and they offer quotations and recite slogans." "Character gets you out of bed; commitment moves you to action. Faith, hope and discipline enable you to follow through to completion." "To get started on the right foot is not enough. The foot must be pointed in the right direction." The students of a rabbi approached their teacher with a deep concern about the prevalence of evil in the world. Intent upon driving out the forces of darkness, they requested the rabbi to counsel them. The rabbi suggested that they take brooms and attempt to sweep the darkness from a cellar. The bewildered disciples applied themselves to sweeping out darkness, but to no avail. The rabbi then advised his followers to take sticks and to beat vigorously at the darkness to drive out evil. When this likewise failed, he counseled them to go down to the cellar again and to protest against the darkness by shouting at it. When this, too, failed, the rabbi said. "My children, let each of you meet the challenge of darkness by lighting a candle." The disciples descended again to the cellar and kindled their lights. They looked, and behold! the darkness had been driven out. Norman Vincent Peale was a young news reporter who happened to meet Henry Ford at a Detroit train station. Peale realized this was a chance of a lifetime and asked Ford if he had any advice for a young man starting out in life. "Who’s your best friend, son?" Ford asked. Then before Peale could answer, Ford went on to say, "I’ll tell you who it is – it’s the person who brings out the best in you. Always associate with the best people – that’s where you will find such a person." In his later years, Peale reflected, "I’m convinced that Henry Ford really knew what he was talking about. A best friend is one who tells you, "Yes, you can make your dreams come true. Yes, you have something valuable to offer to the world. 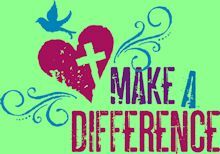 Yes, your life can make a difference!" "And there’s an opposite side to Henry Ford’s question, too," continued Dr. Peale. "It’s ‘whose best friend are you?’ Try asking yourself that question from time to time. Then when you answer it, make sure that you deserve that title by bringing out the best in that person, every day, in every way."